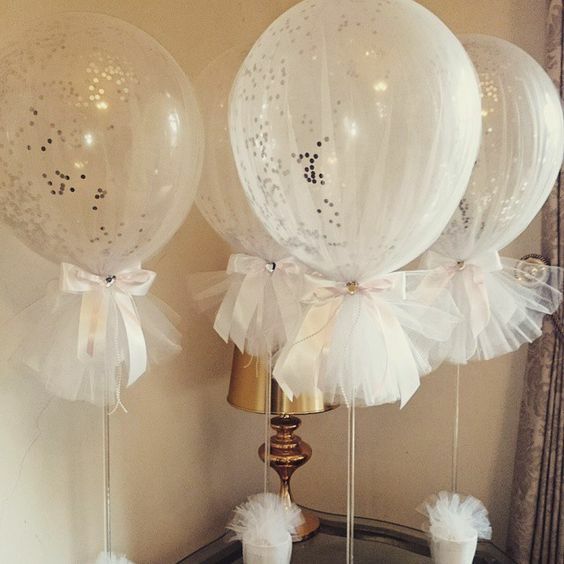 Below are some easy ideas for creating beautiful baby shower balloons! 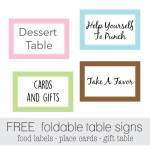 Balloons are no longer the cheesy, plain, smack-you-in-the-face decorations that they used to be. With a few creative tweaks, you can easily transform them into elegant masterpieces - or adorable theme-related decorations. 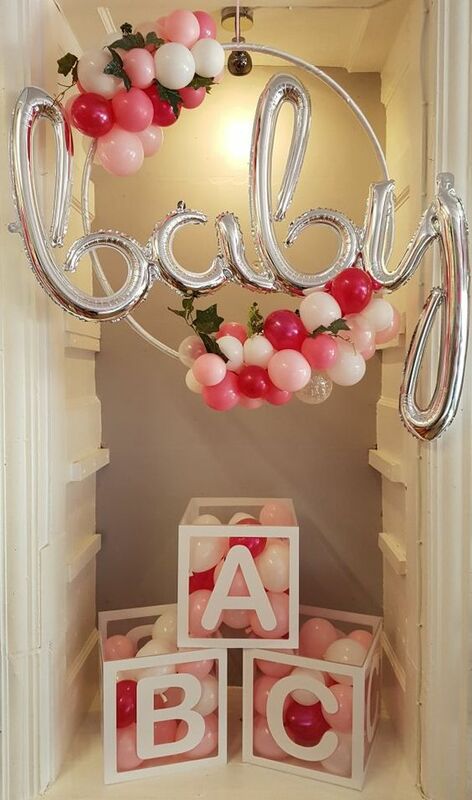 Balloon arch garland are the latest trend and they are absolutely beautiful! 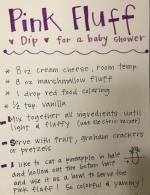 For just a few dollars, you can create a stunning masterpiece for the baby shower. The cool thing is - you don't need helium for this project. Just use an air pump to quickly inflate the balloons. 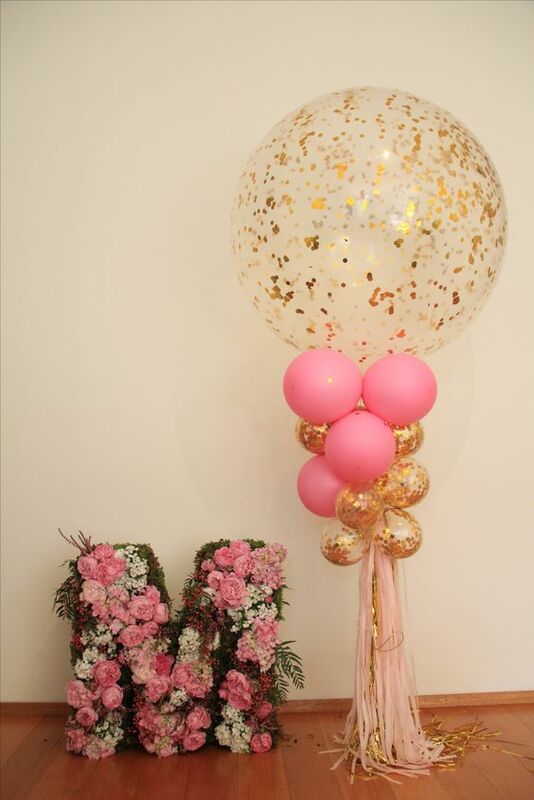 Get balloons in all sizes from small to large - adding flowers and greenery also gives it a festive and elegant look. 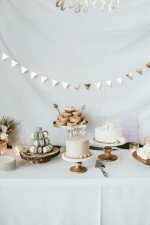 In the above example, they used chicken wire and fishing line, to create the balloon garland look - but there is another method that you can use that's a bit easier. You will have a much easier time at this if you have a mini air pump - We didn't have an air pump, which would have saved a ton of time. It took us about an hour to blow all of the balloons up and it was exhausting! The finished product was pretty impressive. I'll admit, I was skeptical when I bought it, thinking there was no way I could make the balloons look like the picture - but it turned out beautiful! Of course I don't have any pictures to show you! I didn't get any pictures of the finished product and I am so sad about it. 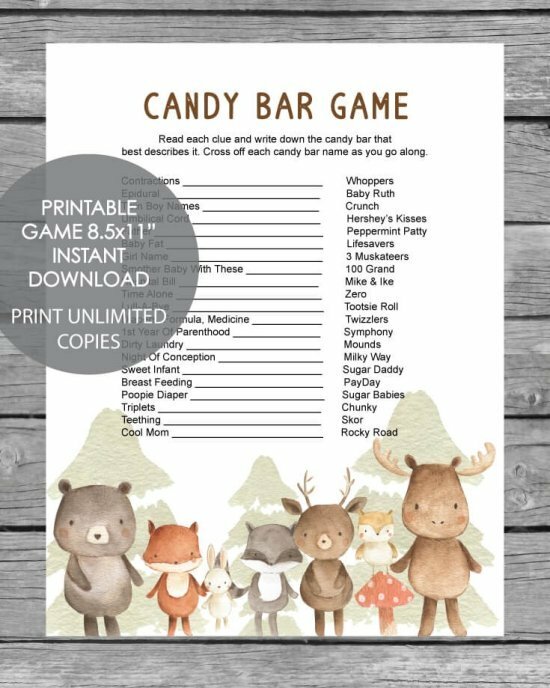 But I do have an extra kit - so I'll make another one for the next party we have and be sure to capture it and share it with you! Here is some more balloon prettiness for you! 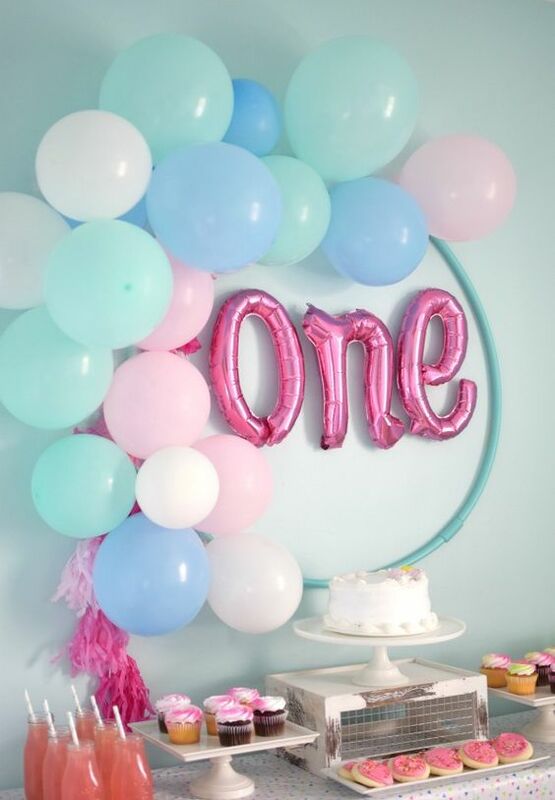 A clever hula hoop balloon wreath with balloon letters in the center. 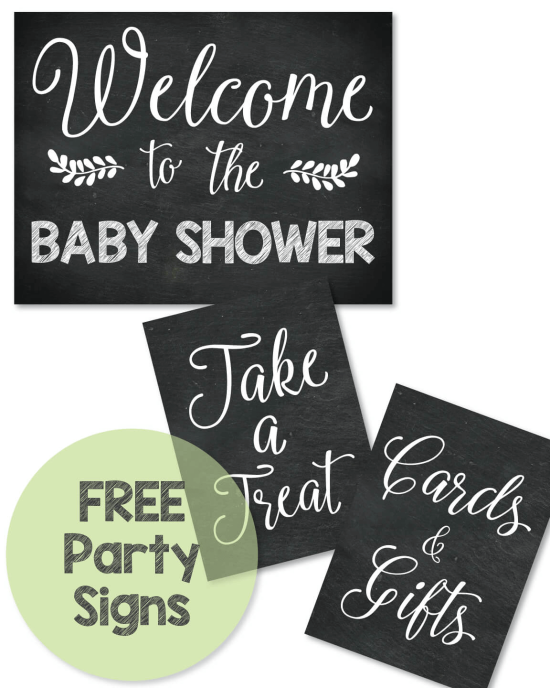 You can also spray paint the hula hoop to match the shower or party decor. 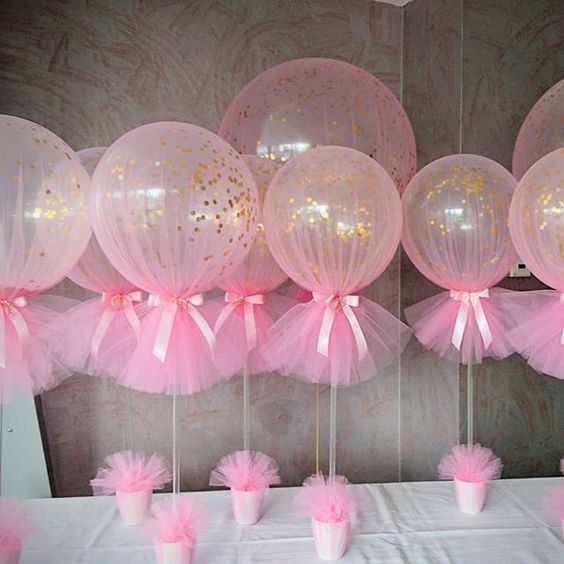 Here is another adorable example of incorporating a hula hoop into your baby shower balloon decor. 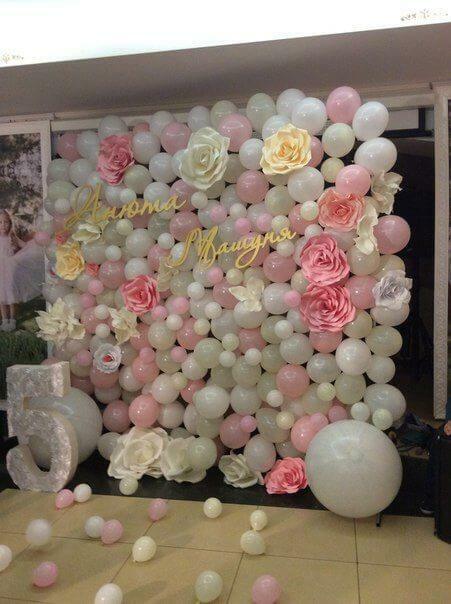 This fancy balloon wall makes the perfect baby shower or birthday party decor! Also makes a beautiful backdrop for a photo booth area at the party. So cute! 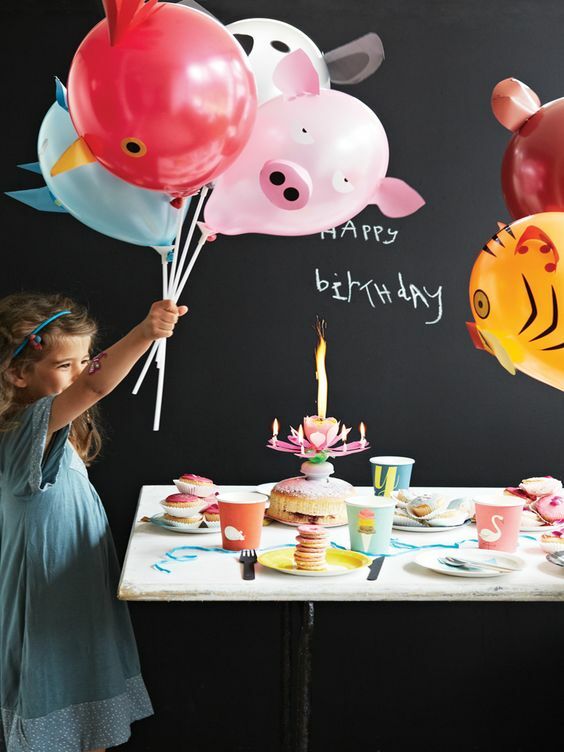 And ... you can easily make it by using a balloon backdrop kit. After you make the balloon wall, you can use glue dots to stick smaller balloons to the larger balloons to get the look above. These DIY glitter dipped balloons are so easy to make - and they are so cute! Then dip each balloon in large bowls of glitter and sequins. Hang from the ceiling with fishing line. This is a take on the balloons from above, only they added festive gold confetti and hung the balloons from wooden dowels poked in cute white pots. So pretty and elegant! 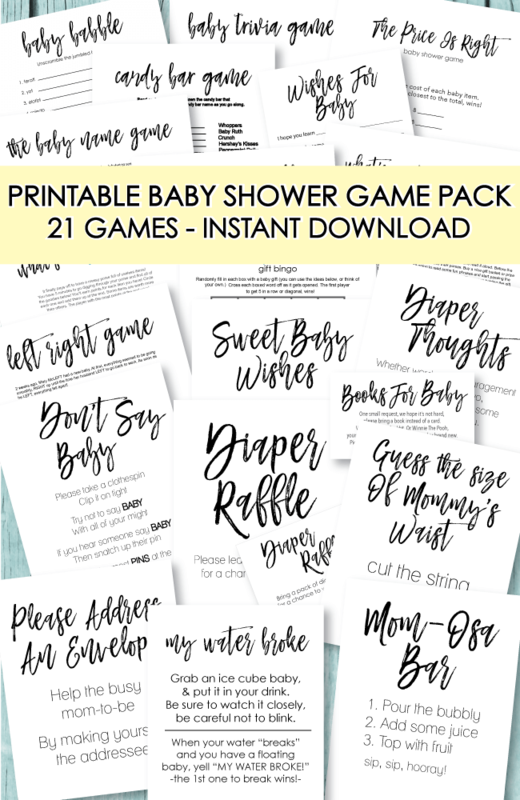 The cool thing is, you can use these as baby shower decorations and then raffle them of to guests to take home - or give to each guest as a baby shower party favor! 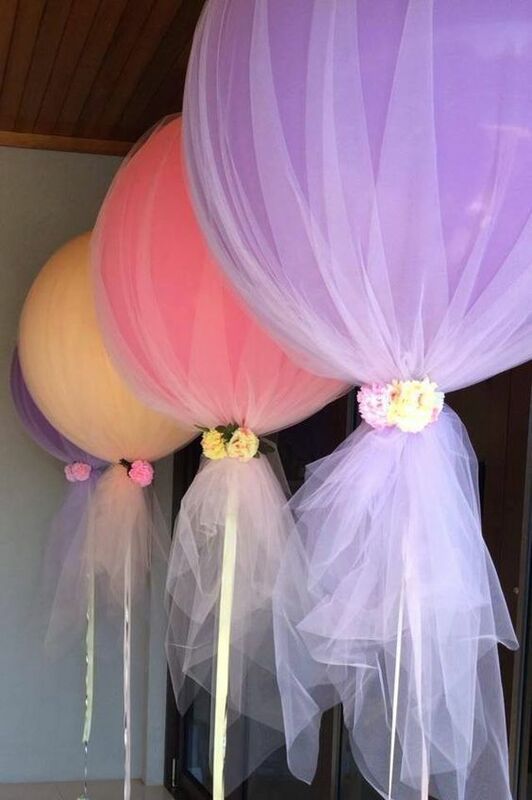 If you are looking to create a BIG statement, you can decorate with jumbo, 36" balloons. They come in all kinds of colors and are so cool! You can make them even prettier than they are by adding floral vines or ribbon to the string. Transform everyday balloons into pillowy clouds! 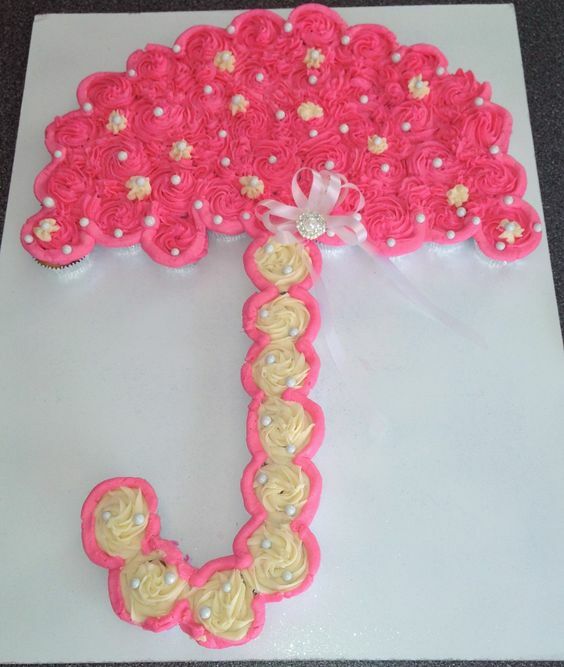 String some raindrop cutouts from them, and you have the ultimate baby "shower!" So easy and adorable! 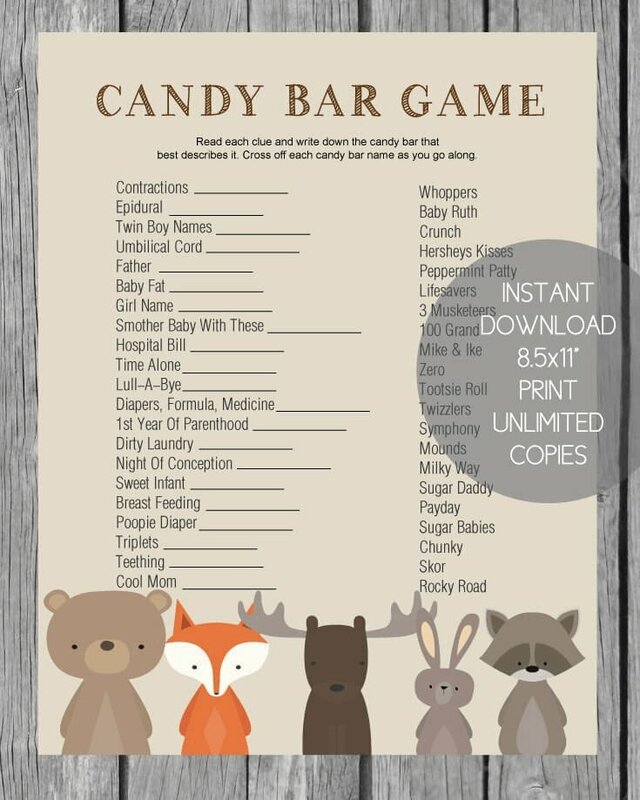 Believe it or not, this cute baby shower decoration is also a baby shower game! Each bag has a baby-related item in it that starts with the letter on the bag. 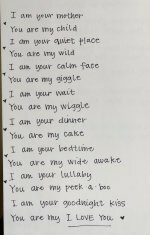 written down the side of the paper. Have them write their name on the top and then fill in what they think is in each bag according to the letters on the bags. Ex: you might put booties in the B bag, apple sauce in the A bag, and so on. 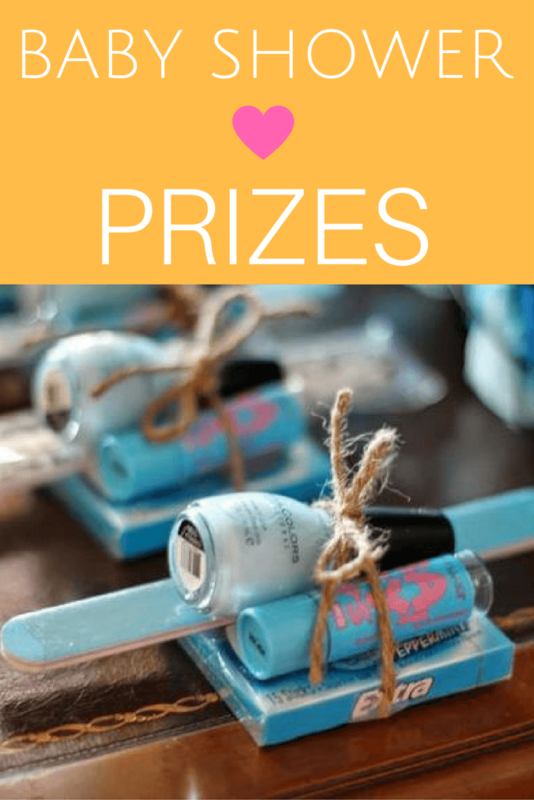 The guest who guests the most correct, wins a baby shower prize! Love, love, love these cuties! 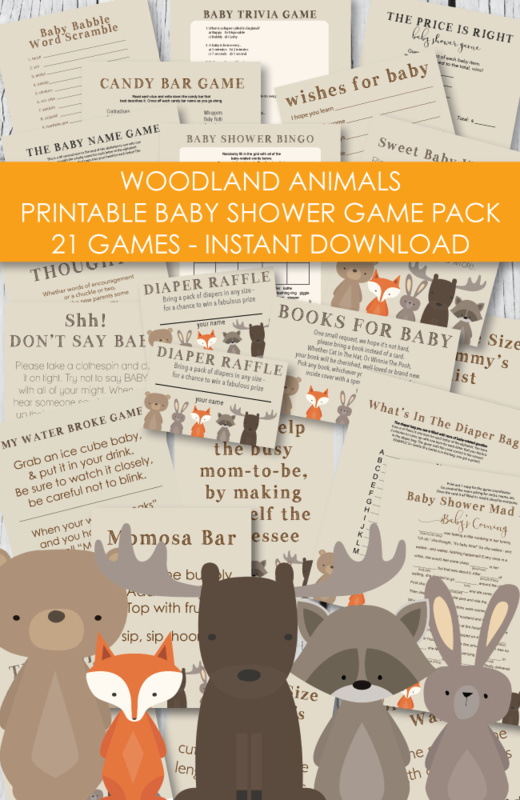 Perfect for a farm animal-themed birthday party or farm baby shower! All you need is a little constructions paper, Sharpie markers, glue sticks and creativity! Fast, easy, cheap! 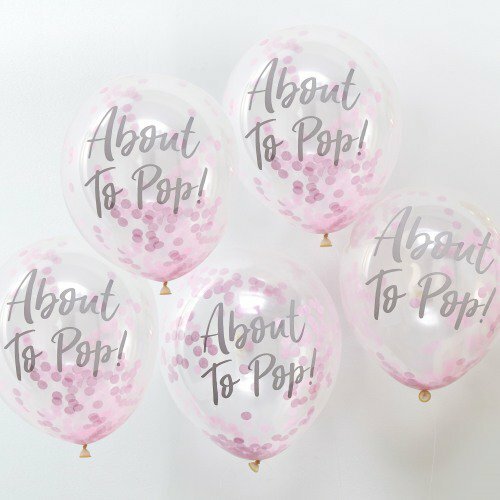 Confetti balloons are so cheerful and make a party instantly come to life! All you need are balloons, a paper punch and some tissue paper - so simple! This continues along the same line of adding glitter or confetti to the inside of the balloon - but what really struck me was the flower-covered letter! I am in love! The craft stores are overflowing with cool wooden letters - and all you have to do to create this look is cover it in artificial moss and flowers using a glue gun. You could probably do it with real flowers too - but that is a little bit out of my league! 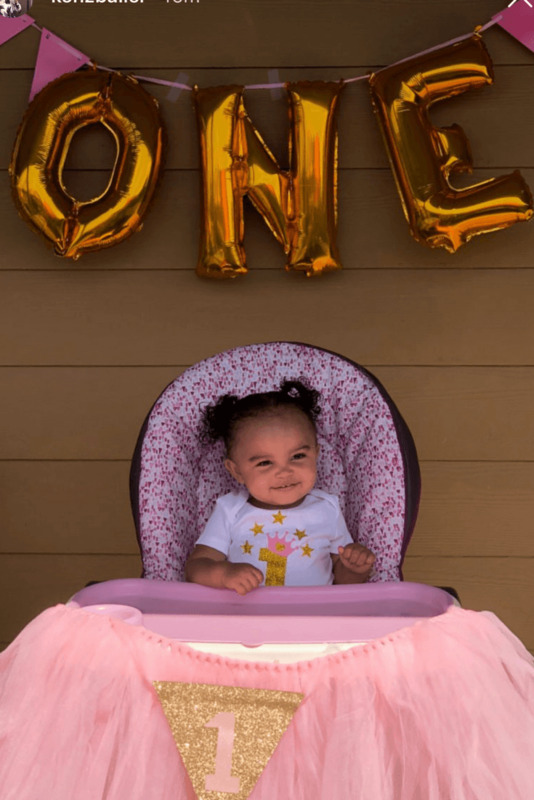 This is a 1st birthday picture of my granddaughter, Braelynn, She is the sweetest thing and I just had to share her with you! We bought the balloon letters at Party City, but you can get them at Amazon too. They were super easy to inflate and hang up. Below is a picture of her baby smash cake - she loved it! 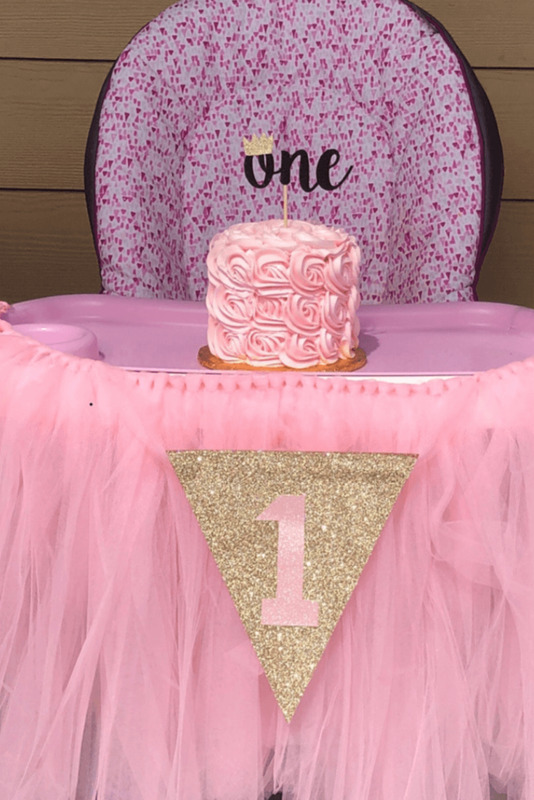 It is a rosette cake and we got the cake pick "one" sign off of Etsy. Get some baby shower cupcake inspiration!